Hello Everybody! I just wanted to “lolli-POP” into your news feed to share our next installment of our Halloween Costumes!! I’m a “Sucker” for swirls and vibrant colors! These Candy Swirl Pillows are such a “Sweet Treat” to add to any room of the house!! See the first piece of our Halloween costumes for this year here! -This pillow is worked in continuous rounds. Mark your rounds as you go. -This pillow can be made bigger or smaller by doing more rounds of the repeat or less rounds. -I used a 16 inch pillow round, but you can stuff it with stuffing or use a smaller pillow insert. When you finish Round 13, for each color HDC in next st, SC in next st, Sl st in next 2 sts, fasten off. *Bear* with me while I think of more puns…just kidding, I am *bearly* awake! This is all I got. Happy Monday everybody!! With Aran, work in the BLO and in continuous rounds. Stuff the panda head completely. Rnd 2: Ch 3 (counts as st) DC in same st as ch 3, [HDC, SC] in next st, [SC, HDC] in next st, 2 DC in next st, [HDC, SC] in next st, [SC, HDC] in last st, Sl st to first ch 3. Rnd 3: Ch 1, 2 SC in first 2 sts, SC in next 4 sts, 2 SC in next 2 sts, SC in last 4 sts. Embroider a white line for eyes. Rnds 4-5: SC in each st around. Below is a list of some Punny Valentine’s. Click on the link next to their date or click the photo to be taken to its video tutorial and written pattern! Enjoy!! I know you are “falling” for some of these “unbe-leaf-ably” silly puns. It helps to create good “chemis-tree” between us when we can “photo-sympathize” with how lame they can become. I know it’s “over-ELM-ing,” but we can still laugh together. I hope it’s “OAK-kay” that I continue to post until I get “stumped.” Even then I won’t “leaf” you “hanging” as I “branch” out and try to be more punny! “Bravo-cado” on sharing these puns everyone! I have laughed a lot and said, “You’ve “guac” to be kidding me,” several times! Some responses are “hard-core” and “avo-control!” There were a few “guac-ward” moments. I know, I tend be go too far that I can end up in the “pits” with these puns. It seems so wrong but feels so “ripe,” so keep it up, and “guac” my world with your creativity! We are “bass-ically” coming to the end of our Valentine’s puns. I “fish” we had more time because I’m having so much “fin!” I have a “boat-load” of material. I’m not being “koi” about it. With only a few days left, I’m not about to “swimmer” down. Instead, I’m over here, “kraken” myself up! I “sardine-ly” try to keep everyone laughing. You know I’m not doing this just for the “halibut.” These puns are an annual event. You may wonder, “”Water” you doing these for, Nadia?” My answer is, “These puns are a big “tank” you for being in my life!” I have always said, “You are my “ray” of sunshine.” You make me want to “Carp-e” Diem, and not “flounder” around anymore. There’s nothing “fishy” about this. My “sole” is truly in making up these puns! I “gnome” that this series is almost done. I hope these have brought some “magic” to your life. I’ve been “toad” that I make up some pretty good ones! I have been “trolling” through some keywords to pun this caption to make sure it’s “elfin'” hilarious. Some have been so funny, I hope no one wet their “plants” reading these! I’m being “fairy” careful to make sure they’re full of fun and “fantasy.” I have “pixie-d” some great projects to make some special Valentine’s ideas to help your love “grow.” This cute Gnome would be perfect for a “garden party” accent! I have always had a “zest” for life, and “lime” so grateful to be able to do what I love. For the past 2 weeks, my creative “juices” have been going in high gear to bring you this series of puns leading up to Valentine’s Day. I hope you enjoyed it as much as I have!! At times, I may have blurred the “limes” between humorous and pushing too far. I’m sure some were a bit “sour” and others made you “peel” with laughter. Today’s pun is no exception. This pillow is “juice” the cutest way to end our series and allows me to “ex-press” how much all this means to me. I do this for YOU! I plan to “wedge” this under me to provide something to “curdle” up with once my procedure and biopsies are over. I’m so lucky to have my “main squeeze” with me during these tests! My life is made up of many “making lemonade” moments. Any way you “slice” it, was a perfect way to bring this series to a close. So, time to “pucker up” and get this procedure done! I will post the blog for this pillow as soon as I’m a bit more “fresh.” Happy Valentine’s Day Everyone! Sending you all my love!! I have always had a “zest” for life, and “lime” so grateful to be able to do what I love. For the past 2 weeks, my creative “juices” have been going in high gear to bring you this series of puns leading up to Valentine’s Day. I hope you enjoyed it as much as I have!! At times, I may have blurred the “limes” between humorous and pushing too far. I’m sure some were a bit “sour” and others made you “peel” with laughter. Today’s pun is no exception. This pillow is “juice” the cutest way to end our series and allows me to “ex-press” how much all this means to me. I do this for YOU! I plan to “wedge” this under me to provide something to “curdle” up with once my procedure and biopsies are over. I’m so lucky to have my “main squeeze” with me during these tests! My life is made up of many “making lemonade” moments. Any way you “slice” it, was a perfect way to bring this series to a close. So, time to “pucker up” and get this procedure done! Happy Valentine’s Day Everyone! Sending you all my love!! I also want to say a special Happy Valentine’s Day to my Nate for taking the day off work to be with me today. Rnd 6: In any st around, with Brighter yellow color, ch 1, 2 SC in same st, 1 SC in next 4 sts, *2 SC in next st, 1 SC in next 4 sts, repeat from * around, sl st to 1st sc. Fasten off with long tail for sewing. Then sew lemon slices to pillow using video tutorial as a guide. Today we have the On the Fringe Cushion pattern! This great piece of home decor has a boho-inspired look and can be made in any color for your home. The slip-stitches give a look of knit, and it is accented with a bobble fringe. Get your hooks ready ladies and gents, this is a pillow cover you don’t want to miss out on making! You can use any size pillow you want and make this easy pattern that really dresses up your holiday decor this season! Use different colors and have this pillow for all year round! -You can also chain more or less for the size pillow you are making. -Slip Stitches are very short, so you will need to make your piece more of a rectangle piece instead of a square so it doesn’t stretch and look weird on the pillow form. -The pillow I used was 14 inches but you can use any size pillow you want, just measure your panels to be the size of the pillow form you use. Cluster: [YO, Insert Hook, YO, Pull through, YO, pull through 2 loops] 3 times, YO, pull through all 4 loops on hook. Ch 31 or any amount that will cover the pillow you are working over. Reverse single crochet attaching the 2 panels of your pillow, stuff pillow form inside before completely closing it. Attach fringe in a cool design, either a zig zag or scoops or straight across. In summer, we are surrounded by bright color and full blooms that inspire creativity. My Blooming Daydreams Throw Pillow is a menagerie of hues and texture used to create this whimsical cushion. Perfect for a blast of life and color to any room of your home. Change the palette for your decor when you make your very own, or make this as a gift for someone you love! With interior design leaning toward bohemian inspired decor, this floral accent pillow brings a nice vibe of color to a neutral room. It can offset plain walls of an apartment, and accented with some earthy plants, it can give a fun yet laid back ambiance. You can toss this pillow on a bed and pair it with some fun throws. It can spruce up a drab bedroom! Don’t want to make a throw pillow? Make more than one of these squares to make a matching blanket!! The backside of this pillow is a plain solid granny square, you can use that side and make a simple pillow without any floral design, just make 2 of the same square and sew them together and stuff a pillow form inside! -The finished square measures 16 inches, but you can stop at any round to make this smaller, or you can continue on to make it larger just repeating the last few rounds. -The backside of the pillow was a solid granny square type of square, but you can make rows or any other backing to make yours the way you want. -You could make a bunch of these squares and make a throw blanket and then make the pillow as a matching set! Start with Magic Ring or ch 4 or 5 and sl st to beginning to form ring. Rnd 10: In any corner: Ch 3, [DC, ch 2, 2DC] in same corner sp, * Ch 1, sk 1 st, DC in next, repeat from * until next corner, [2 DC, ch 2, 2 DC] in corner. Repeat around. Sl st to ch up 3. Rnd 11: In any corner, ch 3, [DC, ch 2, 2 DC] in same corner sp, * DC in next 2 sts, [3TC cluster in skipped st from rnd 9, DC in next st] 10 times. DC in next st, [2DC, ch 2, 2 DC] in corner, repeat from * around, sl st to ch up 3. Rnd 12: In any corner: Ch 2, [HDC, ch 2, 2HDC] In same corner sp, HDC in each st around putting [2HDC, ch 2, 2 HDC] in each corner. Rnds 15-22: Repeat Round 14, Turn your work each round or every other round so your square doesn’t get wonky! Watch the video tutorial to learn how to turn your work and still work the beginning corner. You can continue to make the square bigger, or you can fasten off sooner depending on the size you need to make your square. Rnd 1: Ch up 3 (counts as DC), 2 DC in ring, ch 2, [3 DC in ring, Ch 2] 3 times, sl st to beg. ch. Rnd 2: DC in each st putting [2DC, ch 2, 2 DC] in corners. Repeat Round 2 as many times as you need until your square is big enough. I did a total of 15 Rounds for the back of my pillow. Fasten off with REALLY LONG TAIL for sewing. 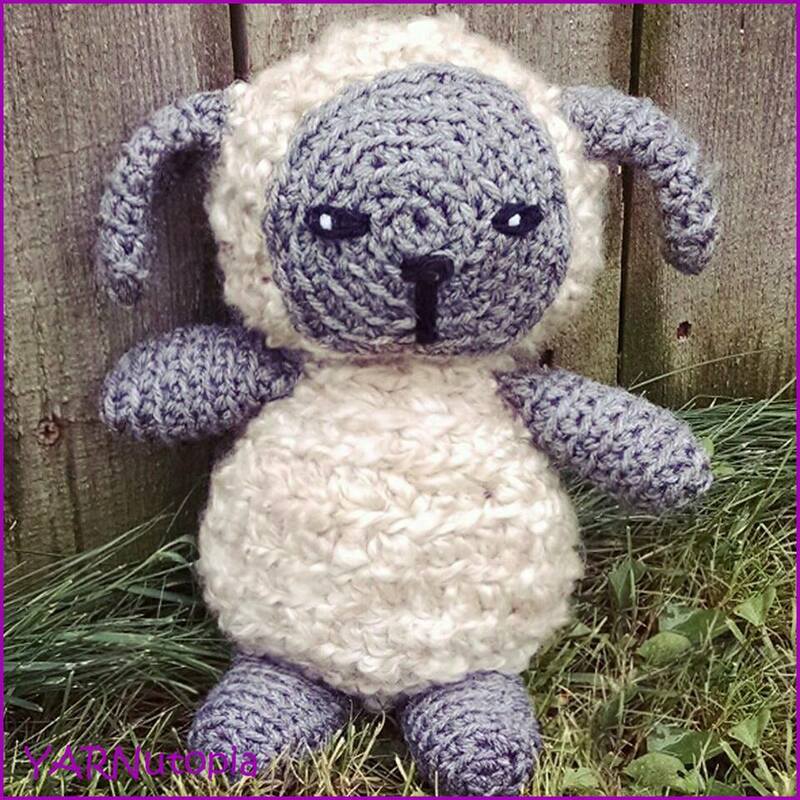 Optional: Crochet your front and back together using single crochet or slip stitches. Ch 4, Sl st to beg. to form a ring. Work on opposite side of foundation ch: SC in next, HDC in next, DC in next 3, HDC in next, SC in last, Sl st to beginning sc, Fasten off with long tail for sewing. Sew appliques onto front of pillow cover. Sew front and back together but before closing completely, insert pillow form, then sew up the rest. Follow this link to make the granny square version of the Blooming Daydreams. A matching blanket with this throw pillow would look great in any home! For the ultimate Star Wars fan, this Death Star is a great gift idea for any holiday or birthday! This Death Star pillow is approximately 12 inches tall and 12 inches wide. It’s pretty large, and you can rest your head on it, or have it as a decoration! I found this original pattern online on Pops de Milk website. You can find the original PDF pattern here. May the Force Be With You while you crochet this Death Star Pillow. Follow along with a visual tutorial on how to complete this piece. Like this post?? Make the Yoda Hat here!